Our very own Kim Eichler-Messmer wrote a book! 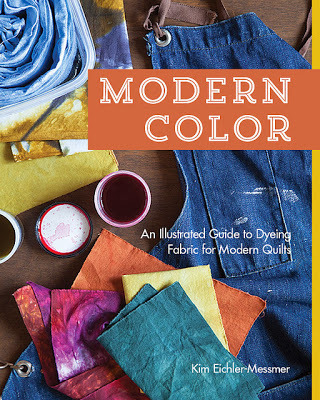 “Modern Color: An Illustrated Guide to Dyeing Fabric for Modern Quilts” is being published by Stash Books, an imprint of C&T Publishing. They make really cool books all about sewing, quilting, and other fiber arts. We are so excited that Kim’s book is finally finished and is right now being shipped all over the country. The book has complete instructions for how to set up a dye studio at home and instructions for 9 modern quilted projects. We are also excited to announce that Kim will be having a book signing and trunk show at the Kansas City Textile Studio on November 15 from 6pm - 9pm. 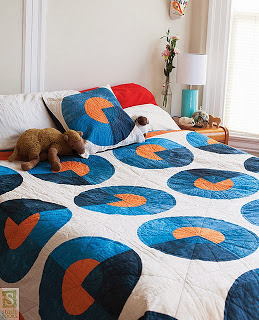 Come on by to help her celebrate and see all of the quilts she made for the book. We will be selling copies of the book for $25 and custom dye kits made specifically to compliment the book. Also, for those interested in a more hands on learning experience, Kim is offering a series of great workshops in November and December here at our studio. 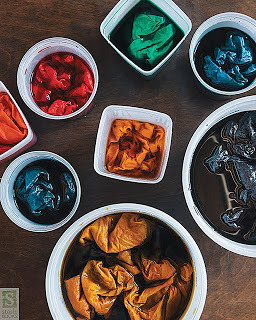 Beginning Fabric Dyeing will be held November 2 from 9am to 1pm and Beginning Shibori will be November 10 from 9am to 1pm. Both workshops are perfect for quilters or anyone else who has always wanted to learn how to dye fabric. On December 8, Kim is teaching a dip dyed place mat workshop - which is one of the projects from her book! In that workshop, each participant will learn how to dip dye fabric and quilt a set of 4 place mats using their custom fabric. It’s a great workshop for beginning quilters.